On June 1st, 2018, the City Club of Eugene discussed an alternative voting system called STAR voting. First, voters Score the candidates on a 0-5 scale, Then there is an Automatic Runoff. Advocates are gathering signatures to qualify this proposal as a measure on the general election ballot in November of 2018. Panelists included STAR voting advocates Mark Frohnmayer (from the Arcimoto electric vehicle company) and Alan Zundel (retired political science professor), along with Robin Quirke (PolicyInteractive) as the friendly critic. Listen to full City Club discussion here. 3. How we might use research to help advise voting system reform decisions? Each of these three points are discussed below, with bar charts and data tables to help illustrate. 1. Do winners vary when an alternative voting system is used? In a survey conducted along side Center for Election Science (CES), we matched voter turnout in the 2016 general election. Of our 730 survey-takers, 33% were registered as Republicans, 36% as Democrats, and 31% for everything else. 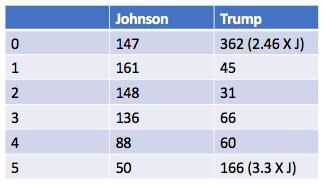 In looking at the above table, you can see that Clinton was the winner with all voting systems and Trump was the second place winner in all accept with score voting, where Johnson was second and Trump third. How did Johnson manage to bump up to second place with score voting? That which plurality voting doesn’t capture, score voting does, explained in more detail directly below. 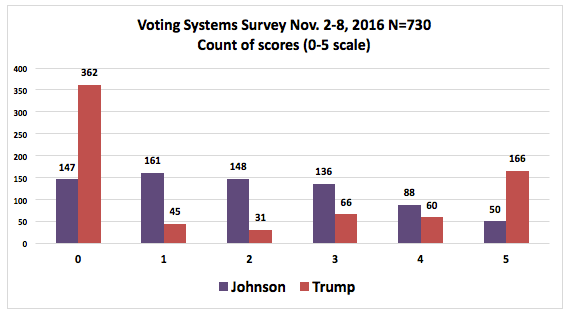 In the above bar graph representation of the November 2016 mock ballot survey, Trump got more than three times the best and highest score of ‘5,’ but he also got nearly three times the lowest score of ‘0’ as well. With approval voting, those zeros are not captured. See another example with Trump and Cruz in a mock primary here. 2. Which voting systems do voters prefer? Quirke referenced Pippa Norris from Harvard, and the Electoral Integrity Project. 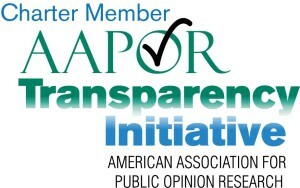 This project is at: https://www.electoralintegrityproject.com. Norris’s book Why elections fail (2015), outlines how 97 countries were assessed regarding electoral integrity (using the Perceptions of Electoral Integrity (PEI) questionnaire), including the U.S., whose electoral integrity score tied with South Africa, Mexico, and Barbados (pg. 54). The U.S. scored lower than many countries that are considered developing nations. Norris writes “Experts expressed concern about problems of US electoral law [“unfair to smaller parties” as one aspect of this (pg. 39)], voter registration, and partisan gerrymandering in the process of drawing district boundaries, as well as the regulation of campaign finance” (pg. 57). The U.S. PEI score (70) is the average of individual state scores, which ranged from the lowest of Arizona (53) to the highest of Vermont (75). It is worth noting that Vermont’s highest score does not reach the scores of Norway (87), Costa Rica (84), or Lithuania (82), as well as several other countries.